1. 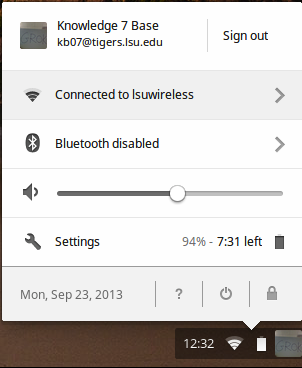 Click the WiFi icon at the bottom right of the screen. 2. 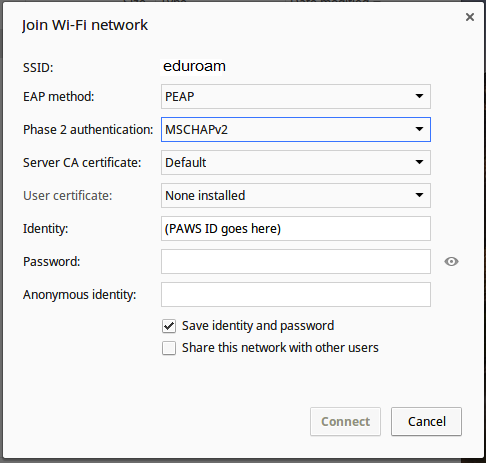 Click the section labeled "Connected to lsuwireless" and select eduroam from the menu. NOTE: In some instances, you may have to change the Server CA Certificate to 'Do Not Check'. NOTE: Enter your PAWS credentials in the form <PAWS ID>@lsu.edu. If you do not do this, you WILL receive an error message.